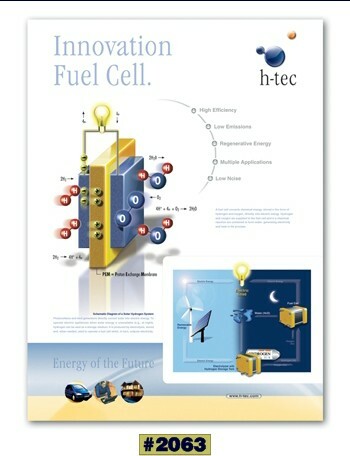 The poster shows how a PEM fuel cell works and sets out hydrogen's role as energy carrier in a solar-hydrogen energy system. 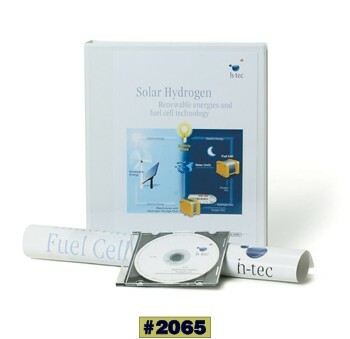 Twelve transparencies on the fuel-cell, the fuel-cell poster (as in 2063 above) and a CD-ROM. 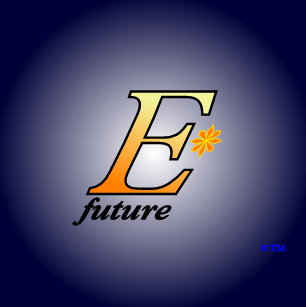 The transparencies and CD-ROM cover fuel cells, hydrogen technology and renewable energy. 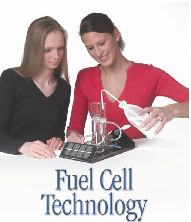 A comprehensive, 120-page introduction to solar-hydrogen and fuel-cell technologies. 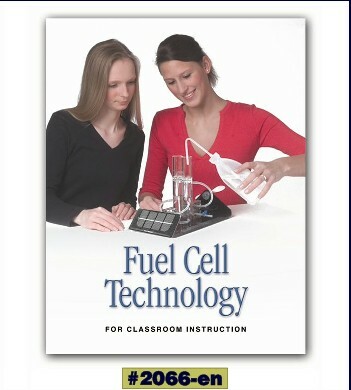 It includes a laboratory manual for student experiments on solar cells, electrolysis and fuel cells; as well as work-sheets for students and teachers. Part One covers the solar-hydrogen cycle, solar energy, PEM electrolysers, hydrogen storage, the history of fuel-cells and the various types of fuel-cell. Part Two covers a range of experiments with solar modules, PEM electrolysers and PEM fuel-cells. Part Three is a range of basic and advanced worksheets and student experiments on solar cells, PEM electrolysers and PEM fuel-cells.